When someone shows off a gorgeous smile, people sit up and take notice. There’s nothing quite like a beautiful, aligned appearance to make a powerful first impression. 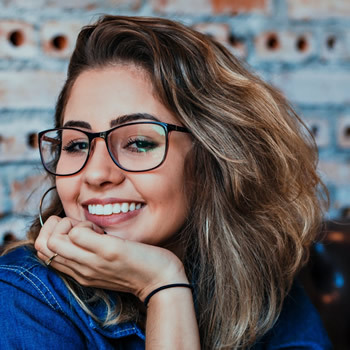 If you’ve ever dreamed of straightening your smile, but aren’t sure where to begin, the team at Anthony Spink Dental Suite is here for you. There are three separate options you can choose from when you want orthodontic treatment at our practice: Invisalign®, Smilefast® and traditional braces. Learn more about each and whether they might be right for you! All around the world, people are discovering that Invisalign is a discreet way to gain the smile of their dreams. Over 5.5 million satisfied customers have found the results they want with Invisalign. It uses a series of clear aligners to shift your teeth into the desired position. Nobody has to know you’re wearing them, and you can remove them for mealtimes, to brush and floss or to attend a social event. Digital precision gives this treatment option an edge. Smilefast’s technology involves the specific placement of clear brackets and wires. Since they’re transparent, they’re hardly noticeable. You can’t beat the treatment times, either. The typical cases are completed in just 6-9 months! There’s a good reason that metal braces have been used for decades. They’re reliable and give predictable outcomes. In particular, we find that teenagers are suitable candidates, as they are likely to remove any aligners. You can be sure that traditional braces will give you the results you’ve been hoping for. You might be wondering whether you’re a candidate for orthodontics. We’ll be able to tell you after a short consultation. All you have to do is ring us to book this brief appointment. We have late opening hours and accept health funds. Contact us today to schedule your time with a member of our team!